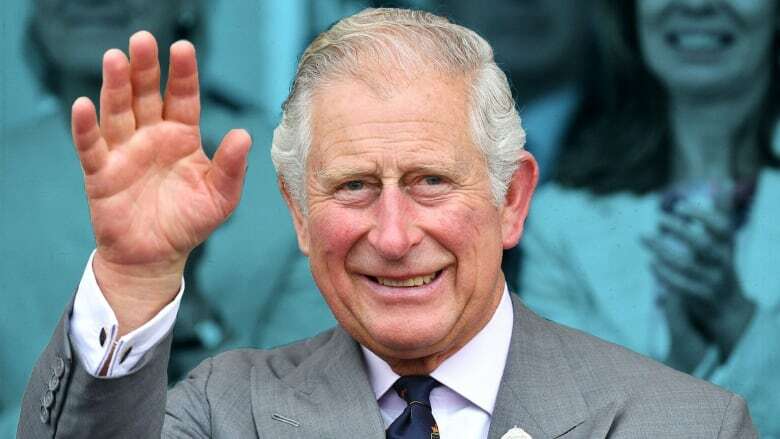 In this week's issue of our environment newsletter, we look at Prince Charles' eco-anxiety and the steps being taken to make flying less carbon-intensive. Also: How close are we to green air travel? On a list of high-profile environmentalists, Prince Charles's name probably doesn't come instantly to mind. But Charles, who turns 70 next week, has spent decades thinking about many of those problems, and has in ways been an environmentalist ahead of his time. Charles's interests have been diverse, from warning about climate change to promoting organic farming and the wool industry. He has launched initiatives like the Prince's Rainforest Project and won global recognition for his environmental efforts. In a recent profile in Vanity Fair magazine, Charles lays bare some of his earliest thoughts on the subject. "As a teenager, I remember feeling deeply about this appallingly excessive demolition job being done on every aspect of life," Charles wrote in a letter to the profile author. He also recalls a talk he gave decades ago about plastics and other waste. "At that stage nobody was really interested and I was considered old-fashioned, out of touch and 'anti-science' for warning of such things." His speeches on these subjects pull few punches, and during a visit to Ghana this week, the fate of the world seemed to weigh on his mind. "I am about to have another grandchild, actually," he said to business leaders and government officials, a reference to the baby Prince Harry and Meghan Markle are expecting in the spring. "It does seem to me insanity if we are going to bequeath this completely polluted, damaged and destroyed world to [our grandchildren]." There are those who question Charles's environmental commitment— after all, doesn't the Royal Family like to hunt? And what about the carbon footprint he and his relations leave behind as they travel the world? On his website, Charles seems to anticipate some of that criticism, noting how travel for him and his wife, Camilla, is organized "so as to reduce carbon emissions" (although he doesn't explain how). His website also touts the fact that his Aston Martin runs on bioethanol made from wine waste and a cheese byproduct. And if for whatever reason he can't get around town in the Aston Martin or any other way, he might take a slightly more prosaic form of transport: a low-emission taxi. Is cleaner jet fuel more than just blue sky thinking? Thinking about how to lower our contribution to climate change while dreaming of vacation plans can be morally complicated. Especially when one transatlantic flight burns as much carbon as the average Canadian emits in a month. Overall, air travel is responsible for more than two per cent of worldwide greenhouse gas emissions. Electric cars and solar roofs are growing in stature — but how far along is a renewable solution to powering planes? One answer lies in bio-jet fuel, or using sources like plant-based oils to reduce and offset the harm caused by petroleum-based fuel. A bio-jet fuel has a tall order to fill: it has to withstand cold temperatures, deliver the same efficiency and work with existing plane fuel systems. Oh, and it has to avoid consuming more natural resources by taking up land that could be used for food production or carbon capture. Still, some are trying. Neste, a Finnish oil company, has developed a biofuel using non-edible vegetable and animal residues that it says can reduce plane emissions by 40 to 90 per cent. There's also some promise in using algaeas a biofuel, given its high oil yield and the fact that it grows faster than most crops. Promise, but also problems — namely, cost-effectiveness, finding a way to scale up production and delivering biofuel to airports, to name a few. Plus, bio-jet fuels still burn carbon. While it's a lesser amount, and the emissions might include fewer harmful particles like sulphur, keep in mind that the basic premise is that a plant-based fuel offsets what it burns by sucking carbon out of the air during its life as a crop. The good news is this is no longer an armchair discussion. Hundreds of flights have been tested using bio-jet fuel blends, including long-hauls from Australia to the United States. 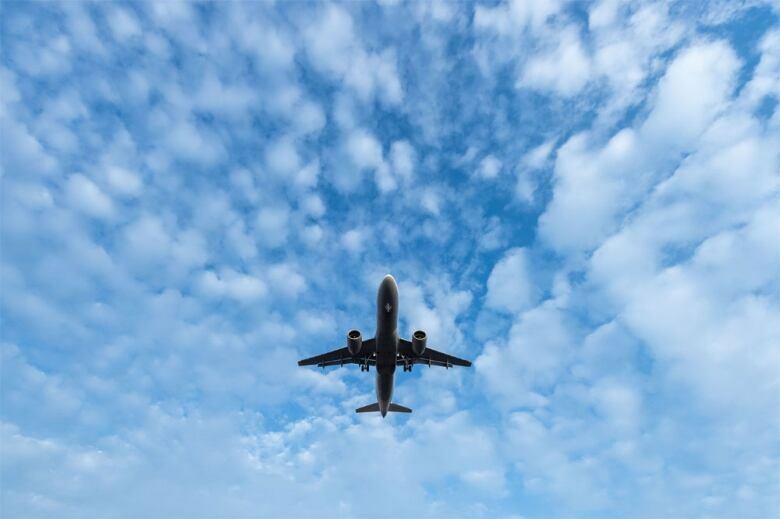 Air Canada has completed eight test flights using renewable biofuels, and the Canadian government is holding an 18-month competition for a homegrown biofuel, offering millions of dollars for the most economically viable solutions. So there's high interest, even if we're nowhere near a future where your vacation is guilt-free. "Curious: somewhere in Scandinavia there is an incinerator that burns plastic waste for fuel. Apparently if it's hot enough there are no emissions. Does Canada have any incinerators like this?" The answer is yes. Canada's newest waste-to-energy plant is the Durham York Energy Centre in Ontario, which opened in 2016. It can process 140,000 tonnes of garbage a year, generating 14 megawatts, or enough electricity to power about 10,000 homes. But according to the latest stats, incinerators handleless than five per cent of municipal solid waste in Canada. The graph below gives a sense of why: It's expensive. 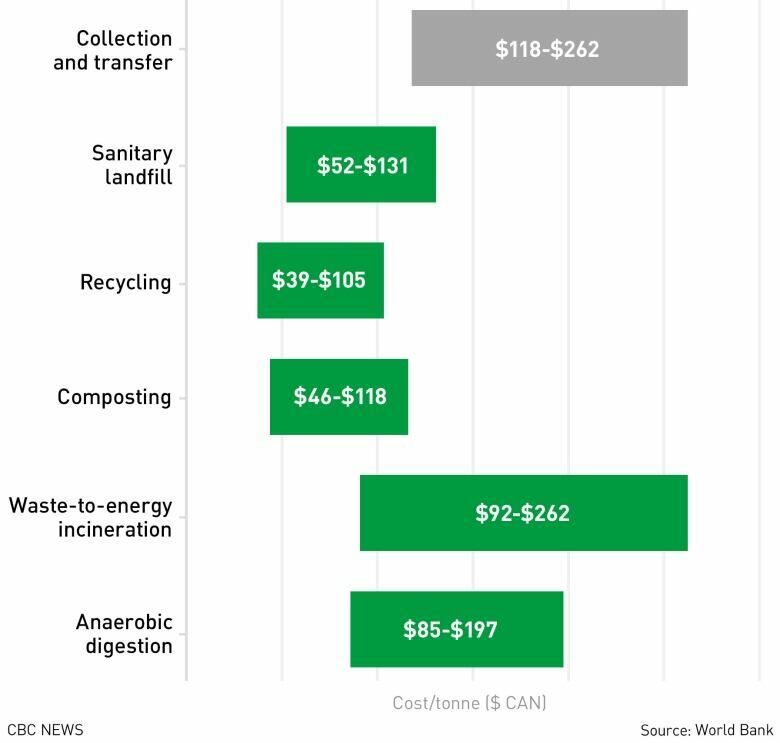 The cost of composting may actually be lower, as the figures don't include the sale of compost. The range of waste-to-energy may be higher, as it doesn't include the cost of removing the ash left behind. Want to know more? Check out our recent article on waste-to-energy incineration. How about some good news for a change? A UN study says the ozone layer is recovering at a rate of one to three per cent each decade. That's largely thanks to the Montreal Protocol, the 1987 ban on substances like chlorofluorocarbons (CFCs), which were found in refrigeration equipment, air conditioners and aerosols. The U.S. midterm elections weren't exactly a triumph for the Democrats, but there were some bright spots on environmental matters. For example, Colorado, Illinois and Michigan all elected governors who are committed to rapidly greening the grid. In Bologna, Italy, you can get rewards such as gelato, beer or movie tickets for ditching your carbon-emitting vehicle and riding your bike, taking public transit or walking instead. Che bravo! Remember that story about the young activists who were hoping to take the U.S. government to court over climate change? In a surprise move, the Supreme Court is letting them go ahead with it. This week, CBC business columnist Don Pittis looked at China's growing stature as a manufacturer of electric cars. We keep hearing that China is becoming the Detroit of the electric car industry. Backed by government subsidies, loans and regulations, the Chinese electric vehicle (EV) industry is growing at a pace unseen in the rest of the world. So if these Chinese cars are so great — or at least so ubiquitous — you may be asking yourself, why aren't they on Canadian roads? Part of it is that they have to compete against the established players in the electric-car market, like Tesla and Nissan, which have networks of dealerships. But within the first three months of next year, you will be able to ride in a Chinese electric car. The manufacturer BYD is bringing a fleet of its specialized taxi vehicles to Montreal. Billed as the best-selling electric vehicle built as a taxi, the BYD E6 is not cheap — it's estimated to be about $60,000 Cdn. But it will pay off quickly for its operators because of low fuel and maintenance costs. According to Ted Dowling, BYD's vice-president for Canada, commercial use vehicles such as taxis, trucks and buses have a much quicker payback time than consumer vehicles just because they are on the road so much. BYD is best known in investing circles because of its largest private investor, billionaire Warren Buffett. The company has not said when it will begin importing its vehicles for consumer sales, but Dowling said he has driven them himself and thinks they're as good as any other car made today. 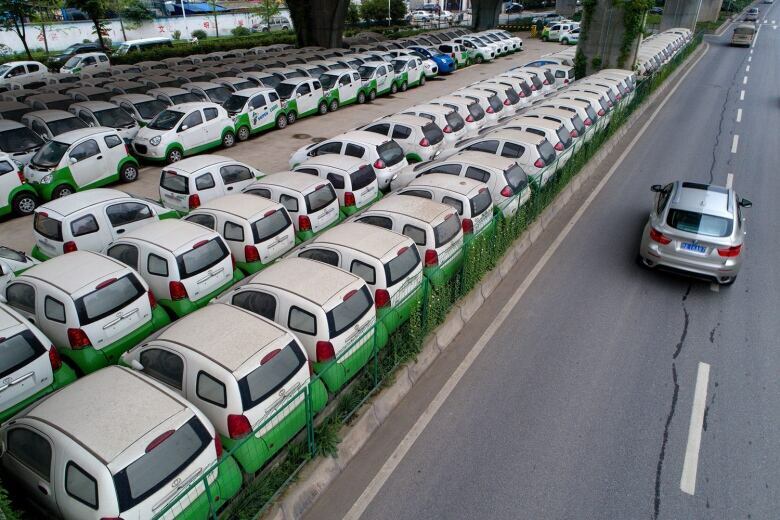 This could very well be the beginning of a flood of Chinese EVs. Right now, there are at least 14 major carmakers in China, most of which are in the electric car business. But the first Chinese-made electric car Canadians drive may not seem very Chinese at all. The famous Swedish luxury brand Volvo is actually owned by Chinese carmaker Geely, and some Volvo cars sold in Canada are already being made in China. What's more, Volvo has promised that by 2019, every model of its fleet of cars will be available in hybrid or plug-in electric form. Are there issues you'd like us to cover? Questions you want answered? Do you just want to share a kind word? We'd love to hear from you. Email us at whatonearth@cbc.ca.